Any writer who wants to tell a story needs to bring in characters. The characters, no matter what species or being, needs to be more than one dimensional. The characters make up the story, and breathe life into it. Sometimes there can be too many characters, and sometimes there is not enough, and sometimes it is just the right amount that tells a story. More like shows the story. One way that a writer can prepare is by creating character profiles. The profiles can be in-depth details about every aspect of the character’s life, or a quick biography that may grow within the story. The profiles can also help decide the occupation, background or backstory of the character, and where they may have originated from. An important part of a character’s growth is the naming process. Writers may create a placeholder name (any name will do) until they come up with the perfect name for a character. Personally, I ponder the name if it doesn’t come right away. I don’t use placeholders, but I have changed names in the context of the story as it didn’t seem to fit. In my book, “Contrary Measures” my main character, Rayna, was originally named “Emily” but one chapter in, I realized it didn’t fit the toughness of the character. (Tip, though, when changing the name while writing the story, or even during editing, make sure you change every instance of the name). Character names can play a big part of the story. 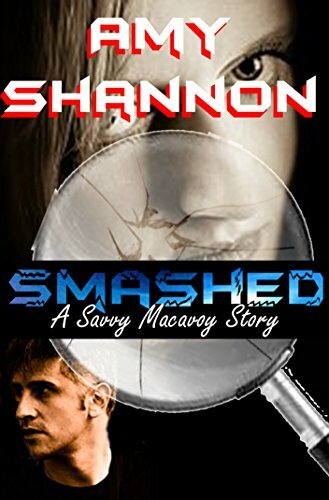 My book “Smashed,” my character Savvy Macavoy (real name Sunshine Rainbow Savvy Macavoy) was raised as a hippie, so her (and her brothers) unique names play a big part of the story. Background, ethnicity or race also lends to the story. The character surnames are just as important as the first names. If the character is Italian, it’s important for the surname to be Italian, unless the character was adopted or parentage is different. Characters background and upbringing should also be reflected in how they speak, and if they speak different languages. How languages are translated within the story is up to the author. In some cases, I have written out the Italian or Spanish words and either added parenthesis with the translation, or I have had other characters translate. I’ve also had characters use ASL (American Sign Language), and make sure that instead of the word “said” was written, the word “signed” was indicated. One thing about vocalization and language, writers, should be clear to indicate what the character is saying, and not always be hung up on how the words sound coming from their mouth. Indication of an accent without having to write the accent can be better and clearer, and other times, writing ‘bout instead of about or ‘cause instead of because may be worth the emphasis. Minor characters are not always just the background characters, such as a reporter asking questions or a receptionist that is always sitting behind the desk at the hospital. I like to name the real background characters, if they may appear in the story more than once. I’ve also had characters that started out in the story to be minor and really became part of the story in a whole new way. It wasn’t how I intended it, but sometimes the characters grow along with the story, as its written. Any writer will understand that no matter how much or little is planned in the writing process, a story can take on a whole new level, especially with the characters. In my first book, “Unwritten Life” the character Jim originally was just going to be a technician, who worked for Alex. However, he and Alex ended up falling in love, and then created a whole Saga of books based on their family. Characters are not just the “people” or beings (and I say beings because many characters have been animals, aliens, monsters, humans, etc. The other characters can be the ones that are ‘non-beings.’ The non-beings can be the environment, scenery, or the building (or even spaceship) that the story takes place in. These characters are what the story revolves around, and can dictate how others react and act within the story. These “other” characters bring a new level of the story. Environment characters can bring a myriad of weather or natural disasters. My saga of books set in a fictional town Sars Springs, AZ is out near the desert. Several stories revolved around weather or natural disasters, such as an earthquake and flood, and even the dry heat. These affect the stories and the characters reactions. No character should be perfect unless they are an angel. Even then, there should be some flaws. Characters who have flaws are the greatest, and characters should grow. Some characters may drink too much, some are self-absorbed, some want to rule the world, and some just want to live their life and fall in love. Not everyone should be rich and have an endless amount of money, and some should be hard working people, sometimes down on their luck. I’ve written about millionaires, law enforcement officers, lawyers, Private Investigators, homeless veterans, among just a few types, and none of them are like the other. They have quirks, and flaws, and qualities that make them human (or human-like). For me, personally, villains are the most fun to write for. I say write for because I am telling their story. Villains are mean or ruthless, sometimes violent or crazy, and sometimes just misunderstood. Villains can be redeemed or partially redeemed, and villains can get away with a crime or be caught again and again. Villains should be written as villains, the kind people love to hate, or just that people plain hate them. If they hate your villain, its OK, that’s what they are there for. Good can turn to evil, but there needs to be some type of indication, even if its minor. And evil can turn to almost-good. It’s how the character is written, and how they act. I like those villains that aren’t quite villains but are rude, jerks and just love to antagonize others. Characters should never just be plain or simple, but sometimes that is what is required. Characters can add levity or humor to dark situations, giving a sense of lightness to the story, even for a moment or at a time when it may feel inappropriate, but be needed. Think of a cop procedural show, when three cops are standing over a dead body at a crime scene, and one quips a one-liner about the cause of death. It seems inappropriate, but it may be how they deal with the situation they are in. Characters can make or break a story. They should be thought out but allowed to grow. Yes, the characters come from the writer’s mind, but when it’s out on paper, they should be able to take a breath and journey through the plot. They are not just part of the story; they are the story. Amy Shannon is an American Storyteller, writer, poet, and blogger. 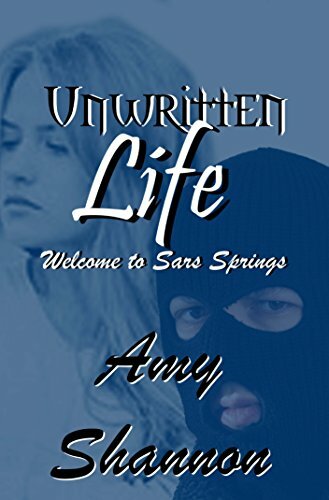 Amy is the author of Suspense, Crime/Police, Family/Romance Dramas/Thrillers. In 2004, Amy was a cancer survivor. In 2005, she survived a domestic violence assault, which resulted in her spouse going to prison, and lifelong migraine headaches. Amy doesn't let that get in the way of taking care of her four boys, who are very supportive of their family, and her passion. In 2015, Amy received her Bachelors of Arts in English. In 2016, She received her Master’s of Arts in Adult Education and Training. She is currently working on her Master’s in Business Administration. Amy Shannon is the author of over 100 stories, with more than half as part of different series or sagas. Once she falls in love with her characters, it's hard to let go of them. Her first novel "Unwritten Life" was written in 2004, and has 4 different printings. It also started off the Sars Springs Saga. Other series, have several books within a series, and they are slightly open-ended in case of a new idea for the series. "Fractured Tears: A Struggle for Justice" (2016) is a fictionalized version of her own experience with Domestic Violence. "Chains" (2016) is about a girl who was kidnapped at age 12 and escaped captivity at the age of 21, it shows her life during and after captivity. Amy has two stories that have male main characters. “Shattered Pages” (2013) is about an eccentric mystery writer whose books are being used as a map for murder. “Fettering Shadows” (2017) is about a former Texas Ranger turned PI struggling to find a serial killer named Icarus. Amy’s second book is being revamped and released in October of 2017. “Contrary Measures” has been revamped with a new cover and publisher, as well as format of the story. Amy Shannon also has a book review blog called “Amy’s Bookshelf Reviews” where she reviews books of all genre, and any type of author, especially Indie or self-published authors.